Every year during the holiday season I get recipe requests for a couple of holiday classics and eggless gingerbread cookie recipe is one of them and the most frequently asked one too. 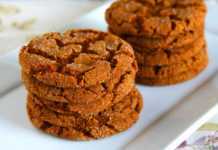 Usually, I direct them to my whole wheat gingersnaps recipe and tell them that I will bake and blog about gingerbread cookies without eggs shortly. Finally this year I made it a point to make these gingerbread man cookies right in time for Christmas. I found this recipe in a Betty Crocker cookie book which I got for a dollar from the Friends of Library sale. It has an amazing collection of cookies and bars recipes. Have bookmarked a lot of recipes and can’t wait to try it all. 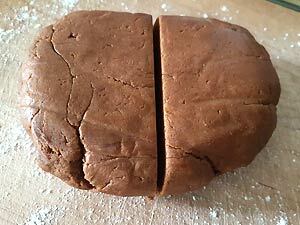 This one was an easy gingerbread cookie recipe which also included whole wheat flour and used only one egg, which I have replaced with Ener-G egg replacer. It’s a pretty straightforward recipe, just creaming the butter and sugar and adding the rest of the ingredients, chill the dough, cutting into desired shapes, baking and frosting. 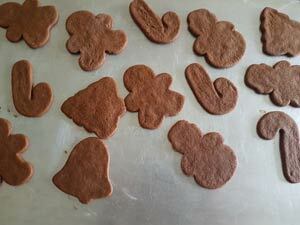 I don’t know why I have been postponing making these gingerbread cookies for all these years! 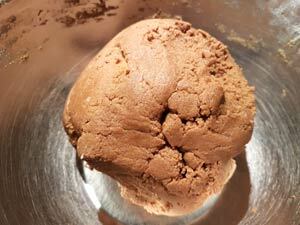 Another shortcut I implemented was to use store bought cookie icing instead of making it from scratch. I didn’t want a whole lot of frosting because I was going to frost only a few cookies for the pictures. 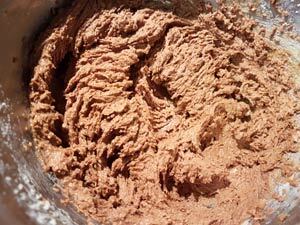 If you want to frost all your cookies, I have given the recipe for frosting from the book please follow it. I think it should be good. 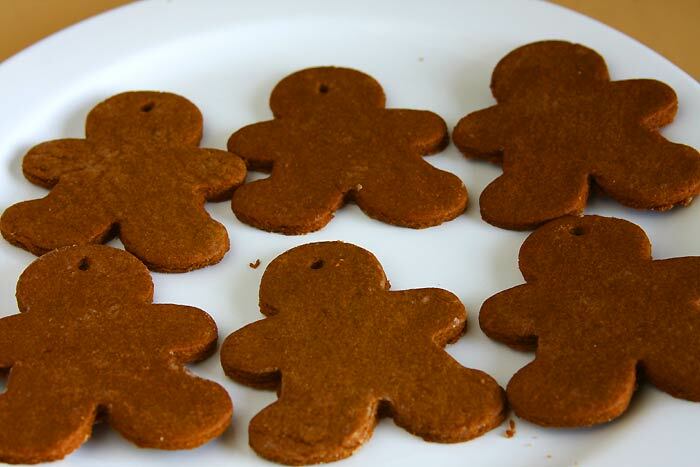 These egg-free gingerbread cutout cookies tasted very good, with the robust flavor of the molasses and ginger and a subtle hint of cinnamon. The first batch of cookies was a bit soft to my liking so increased the baking time by 2-3 minutes for the rest of the batches. 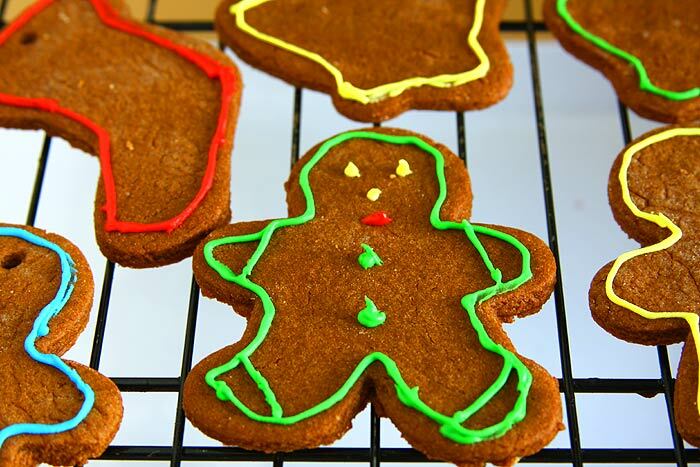 Here are the step-by-step instructions for making easy gingerbread cookies for the holiday season! 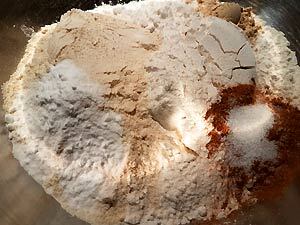 Add flours and spices in a large bowl. Add butter and sugar in another bowl. Add molasses and egg-replacer to the mix. Mix together and make dough. Divide the dough in half and chill. Remove one half divide into two parts. Roll out on a floured surface. Place them on cookie sheet. 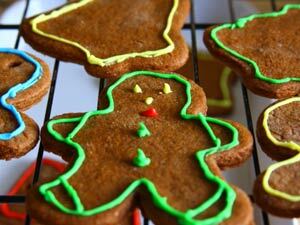 It’s not Christmas without these easy to bake soft gingerbread cookies. 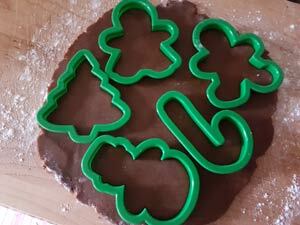 Use a variety of festively-themed cookie cutters to make these cute cutouts. In a large bowl stir together the all-purpose flour, whole wheat flour, baking soda, ground spices and salt, and set aside. 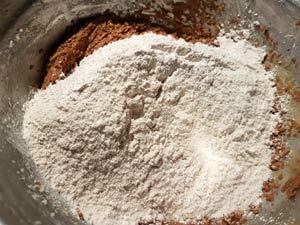 Also whisk together the Ener-G egg replacer powder and water in a small bowl and keep it ready. 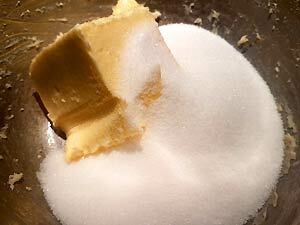 In another large bowl, cream together the butter and sugar until light and fluffy. Add molasses (See My Notes) and egg replacer mix; blend well. Now stir in the flour mix; combine well. If you feel the dough is too tight add about 1-2 tablespoons of water. 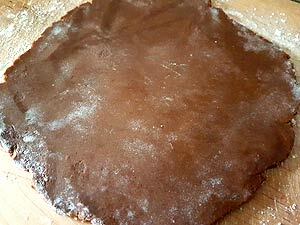 Remove one half of the dough from the fridge. Keep the remaining cookie dough refrigerated. 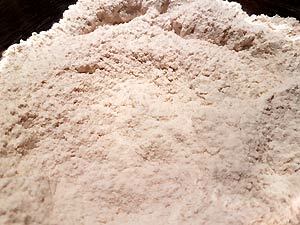 On a lightly floured surface (countertop or a big cutting board), roll out the dough to 1/8-inch thickness. 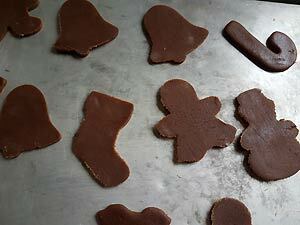 Lightly dip the cookie cutters that you want to use in some flour and cut the rolled out dough into desired shapes. Place 1 inch apart on ungreased cookie sheets. 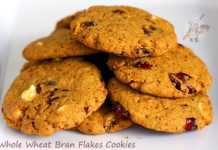 As I always suggest test bake 2-3 cookies for 7-10 minutes or until set. Cool 1 minute; remove from cookie sheets. Cool on a wire rack until it cools completely before frosting it. 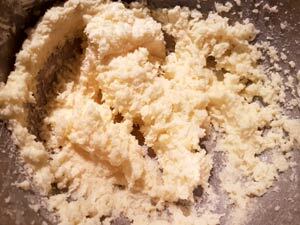 In a medium bowl add the butter, vanilla and salt; beat until light and fluffy. Gradually beat in sugar in small increments until smooth. 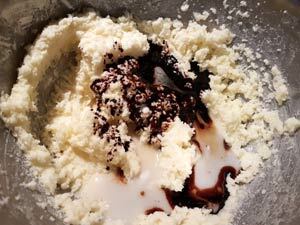 Add 1 tablespoon milk; beat at high speed until light and fluffy. Add some more milk to get the desired spreadable or piping consistency as per your choice. 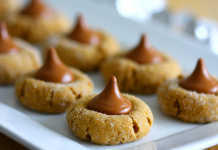 Decorate the cookies as desired. The frosting has to set and dry before you can store it in a container. While measuring the molasses, lightly grease the measuring mug with non-stick cooking spray or use the butter wrapper, so that all the molasses will fall out without sticking to the mug. I made the dough and refrigerated it for about a day because I couldn’t bake it on the same day. So the dough became quite stiff. I had to keep it out at room temperature for it to become pliable. 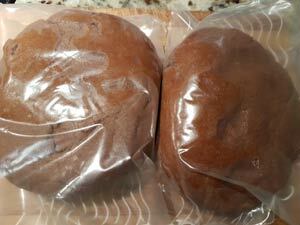 I had to use little water too to make the dough soft and in order to roll it. I didn’t have time to do the frosting at home and also I didn’t want to make a lot of icing, decorate the cookies and give a sugar high to my kids and others so used readymade cookie icing tubes to decorate just a few cookies. The rest the kids ate it without any icing which was sweet enough and tasted great. 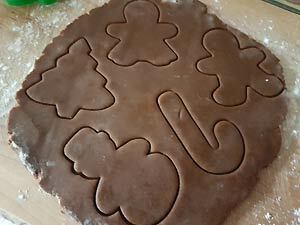 To make Christmas tree ornament cookies, use a straw to poke a hole on the gingerbread cutouts and then bake the cookies as usual.